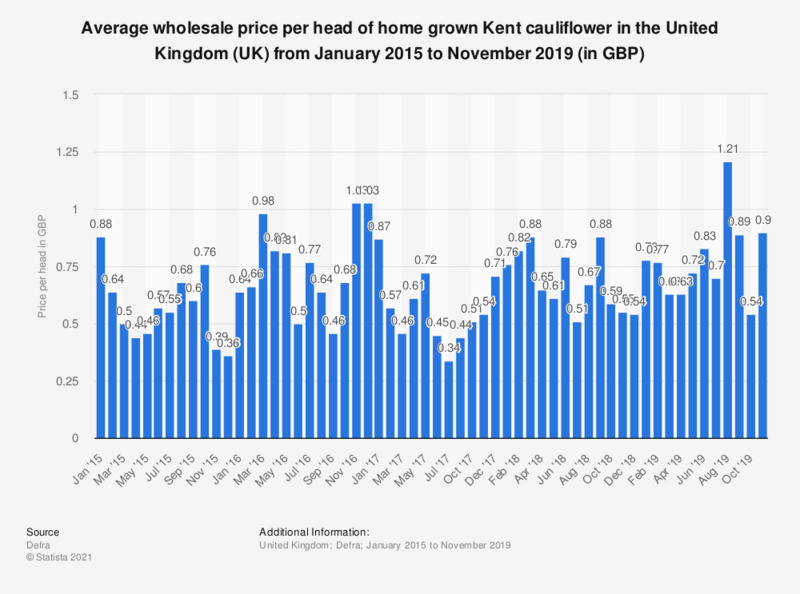 This statistic displays the wholesale price of Kent cauliflower in the United Kingdom (UK) from 2015 to 2018. The wholesale price of Kent cauliflower was valued at 0.51 British pounds per head in June 2016, a decrease of 8 percent compared to a year earlier. As of August 2016, monthly datasets are no longer published. Monthly averages have been calculated from weekly data. Since January 2017, data is for all types of cauliflower.